The Hobbit Replica The Sting Sword of Bilbo Baggins Noble Collection(NN1237) Officially Licensed Swords and Weapons made by United Cutlery and other manufacturers from The Hobbit movies. 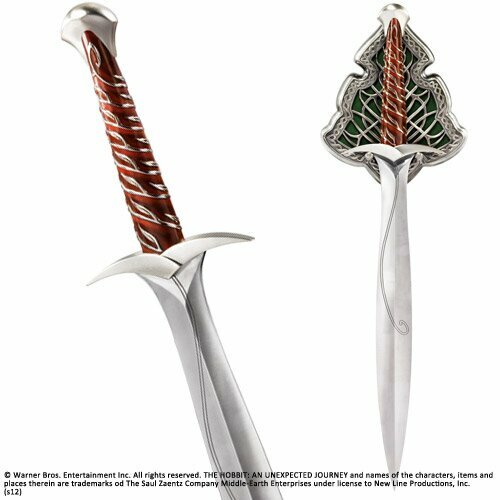 Noble Collection Sting Sword of Bilbo Baggins is officially licensed adult collectible reproduction from the Hobbit movie. Blade made with tempered stainless steel. Bas relief hand enameled handle with Elven vine design, solid metal guard and pommel. Comes with diecast metal wall display.